Tea for two and two for tea. Tea, in many forms, seems to be taking off and becoming an alternative to coffee that can be a welcomed ritual in the late afternoon, just ask the English. Tea is lovely, warm or iced, with a spritz of citrus or as a latte, or a beautifully blended ceremonial matcha, it can be the perfect pick-me-up or an act of self-care. But there is something about the decadence of a true full-service tea. The finger sandwiches, fruit, mini quiches, jammy cookies and the scones! Oh, and the Devonshire (aka clotted) cream! 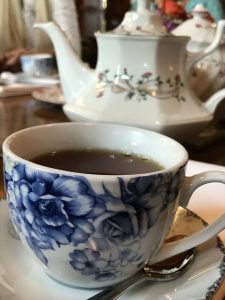 At the risk of talking about tea again (see last week’s Kombucha story) we wanted to share where you might go to get a spot of tea with all the beautiful accoutrements. 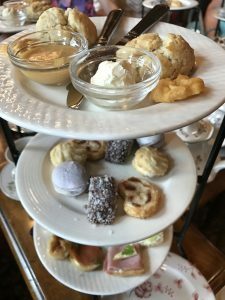 Tea is served Friday, Saturday and Sunday from noon to 5 p.m., and also weekdays, Monday through Wednesday 2 p.m. to 5 p.m. and Thursday 2 p.m. to 3:30 p.m. Reservations are highly recommended. 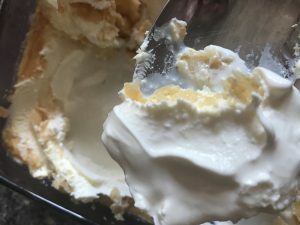 In case you’re wondering about the difference in clotted cream and Devonshire Cream, which tend to be used interchangeably, clotted cream is simply heavy cream cooked low and slow in the oven (at least 12 hours) and then chilled completely. The cream “rises” to the top, or clots, and forms a crust, which is skimmed off. You can spread the clots and the luxurious cream that rests below on your scone, French toast or other baked goods. It’s nutty and naturally lightly sweet with a brown butter taste and supremely creamy. Devonshire Cream is clotted cream, but produced in Devon, England. stores will have it. 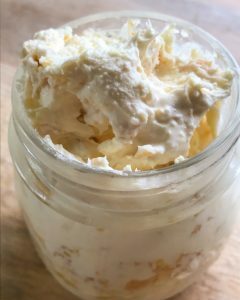 You can also make a “mock” version of Devonshire with unsalted butter, cream cheese, sour cream that’s great in a pinch (adding in some sugar and vanilla would be optional). But below is a recipe for true clotted cream (not Devonshire since we’re not in Devon). Devonshire sure does sound better, doesn’t it? Bake at 175-180 degrees for 12 hours. It will still be a bit loose with a crust on top, but should’ve reduced by 30 to 50 percent. Chill on the counter until cooled. Cover, then refrigerate at least four hours. Separate the clots carefully and spoon the cream into a charming jar. You can mix the clots in, or fill with the cream, then cover with the clots. You can reserve the liquid for baking, soups, smoothies or other recipes if there’s a lot left over. Some folks say just mix it right in. Spoon the clotted cream on scones. You’ll think you’ve died and gone to heaven.